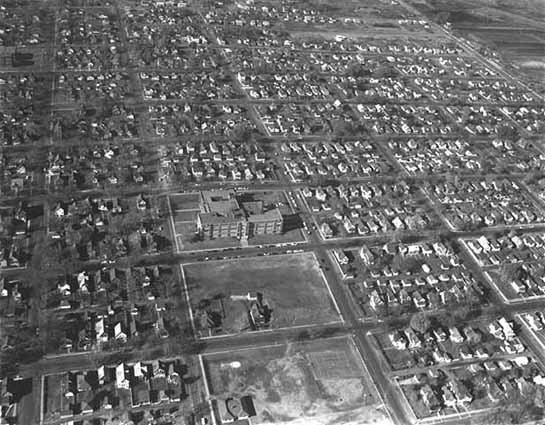 A century ago the Rice Street area, especially between Atwater and Front, was a new and densely populated neighborhood. There were lots of rooming houses and many big families. Lyton Place today is a quiet, two-block street running east from Rice to Oakland Cemetery. In good weather you can find a few kids on bicycles or pausing in the park. 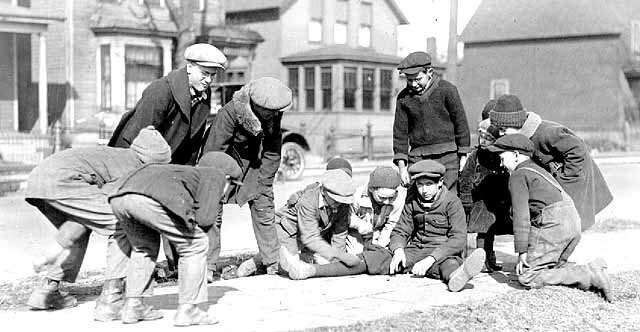 Census takers in 1905 found 141 people living in just 23 households on those two blocks - 68 of them were 18 years of age or younger. Their names were Mulligan, Taack, Stinsky, Miller, Hollman, Guindon, Woods, Woodburn, Hancock, Leuzinger, Comer, Best, Martin, Douglas, Peterson, Johnson, Ordmann, and Howe -- mostly individuals from the British Isles with seasonings of Scandinavia, Germany, and Eastern Europe. 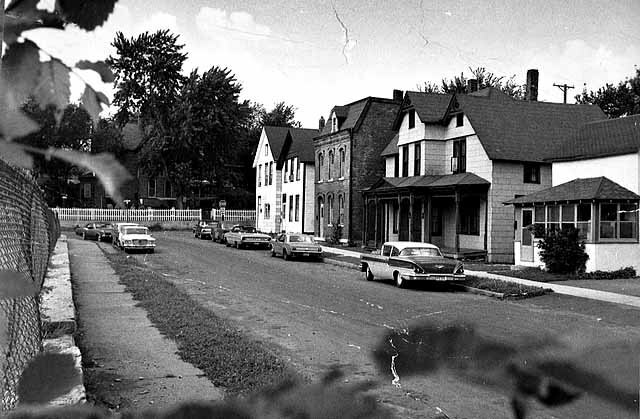 Some of these houses (on the first block) are still there. But on the next block east you will find something interestingly different. There, and around the corner on Sycamore, in the early 1990s the city took down three rows of degraded houses and replaced them with these that reflect, without re-creating, the styles of the era. After more than twenty years these houses remain attractive, an admirable feat of blending new housing with old. Just a little roaming in this precinct pays off for this with the interest and imagination to see, in the mind’s eye, the neighborhood of a century ago. Cross Rice Street and try the adjacent streets of Woodbridge and Marion between Atwater and Milford. 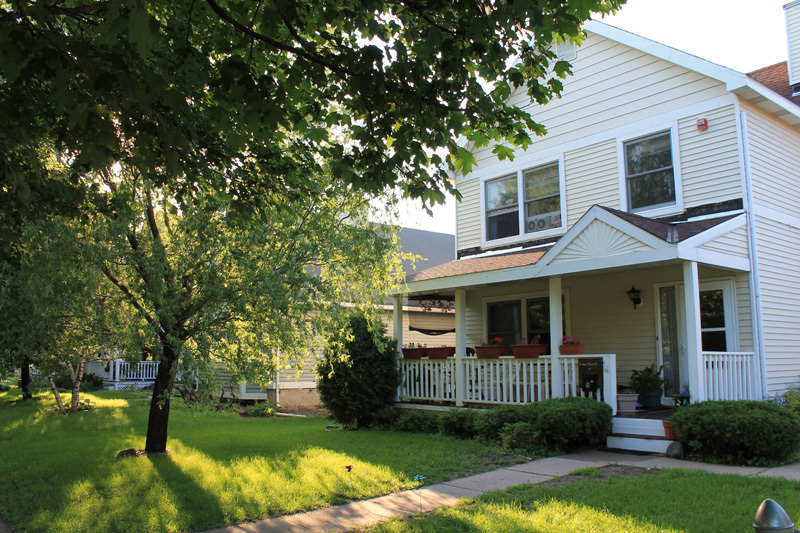 Strip away the new(er) siding and additions, and populate the streets with five of six kids per house. 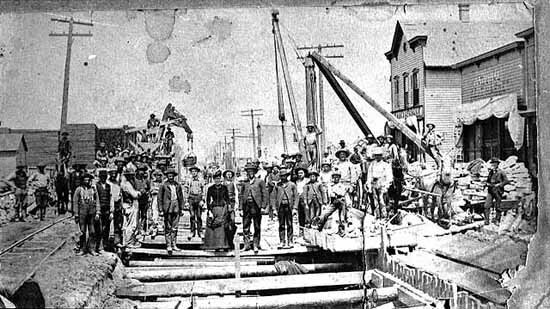 Add the occasional clatter of the streetcars on Rice Street, and you have the North End of 1910, when a street laborer could own a house and raise a family on his wages. Nearby on Marion Street it is easy to see where clear-cutting of the old houses has taken place. 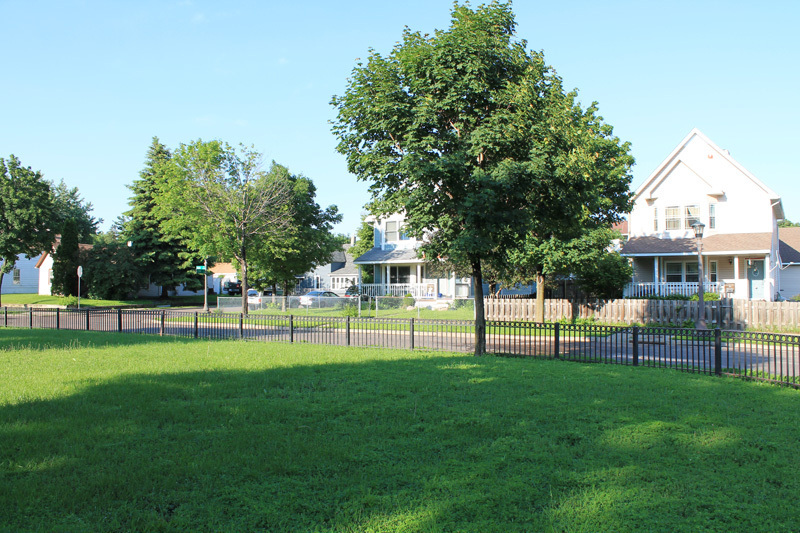 This was the neighborhood where civil rights leader Roy Wilkins grew up, in the 1910s. His house is gone, replaced by the public housing across the street from Lewis Park. Paul Nelson, “Worker Housing,” Saint Paul Historical, accessed April 18, 2019, https://saintpaulhistorical.com/items/show/101.